I love shibuya. Not much of the crazy fashion of harajuku, not many of the geeks from akihabara, but still if you find the right place, you can find nuggets of greatness and a decent stout. Anyway, ive been looking for these for nearly 2 years, and after an hour of trying to remember where the shop was (in hindsight, stupidly easy) i found them. I think the one in odaiba is better, but it made one of my last days off before the new term starts worth it. 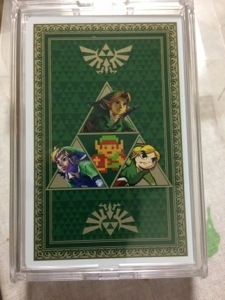 Legend of zelda playing cards!!! Right up there with the metal gear rex figure i cant bring myself to buy! !